Don’t know what Live Below the Line is? Read today’s reflection at the bottom of this post first. This section will contain my meals for the day plus information on the kjs I consume through eating, those I burn off through exercise, and a projected weight loss amount that I would experience if I lived in extreme poverty for five weeks. Dinner: Pizza dough with quarter of a can of spaghetti. One glass of budget cola (250ml). If every day was like today: I’d lose 10kg over 5 weeks. This section will include my random observations throughout the day on what it feels like –both mentally and physically - to live under the extreme poverty line in regards to diet. I’m feeling a bit optimistic but also pretty tired at the same time. I really didn’t expect to feel the effects of not eating my normal amount so quickly. The hardest part of the day was surprisingly not catching up with a friend at McDonald’s while he ate lunch but walking back past Pizza Hut and having the smell waft down the road at me. Each day I’ll be writing a reflection on issues to do with poverty in this section. What is Live Below the Line and why am I doing it? LBTL is a global anti-poverty campaign in which participants live below the Extreme Poverty Line (US$1.50/£1/NZ$2.25) in regards to their diet for five days. Participants choose a charity partner and any money they raise through sponsorship goes to a project run by their chosen charity. My charity partner is World Vision. In particular I am raising money for the World Vision Children of War Rehabilitation Centre in Gulu, Uganda. This centre works to rehabilitate former child-soldiers who have escaped from the Lord’s Resistance Army. The LRA came back into the spotlight thanks to the KONY 2012 campaign and the film Machine Gun Preacher. 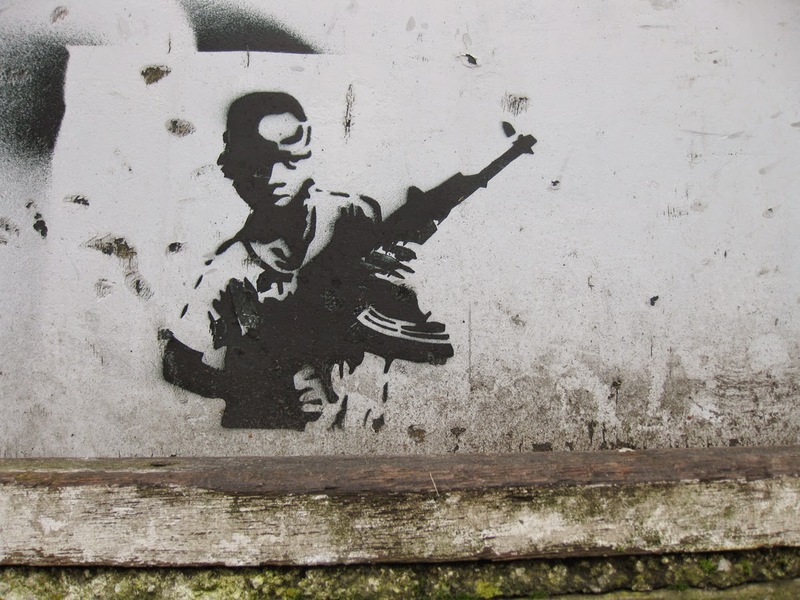 But getting child soldiers out of the LRA is only the first step to helping them. Many of them were kidnapped from their villages and subjected to psychological abuse in order to keep them too afraid to leave the LRA. Many were forced to kill a friend or family member to avoid being executed themselves. On top of this, they also miss out on an education – one of the key things needed to escape poverty. “Bala Walter says the first time he killed a child was when he was 13 years old. "I was told to hit one to death. I had to do it. Definitely that is what had to happen, or else they killed you." He says he cannot really remember how many more people he killed after that. So what does the Children of War Rehabilitation Centre do to help the former child-soldiers? Provides medical treatment and HIV and AIDS education. Provides psychosocial counselling and vocational training. Provides education on how to function in society, including basic laws. Helps to reconcile former child soldiers with their families (this can be extra difficult if they were forced to kill a family member). Provides spiritual care including opportunities to hear the Gospel. Since 1995, they have rehabilitated 14,000 children back into their communities. I didn’t intend to eat this little. It kind of just happened. It may seem odd to be consuming budget cola if I’m trying to replicate poverty. In some poorer places where water is unsafe to drink cola and other fizzy drinks are cheaper options than bottled water. Also I need something sweet to look forward to after spending a whole day eating bland food.